Much to everyone’s displeasure, summer is sadly over. So farewell to the days of flip flops and shorts, barbecues in the garden and counting sheep with those lovely, long summer nights. With the return of the rainfall and the temperature dropping week on week, it’s now time to bring back the thick duvet, switch on the heating and set the hibernation mode on. Check that the roof itself has no leaves, debris or dust to avoid these being washed down to the gutters and potentially blocking them. Sweep the roof tiles – a clean roof makes it easier for the rain water to flow. 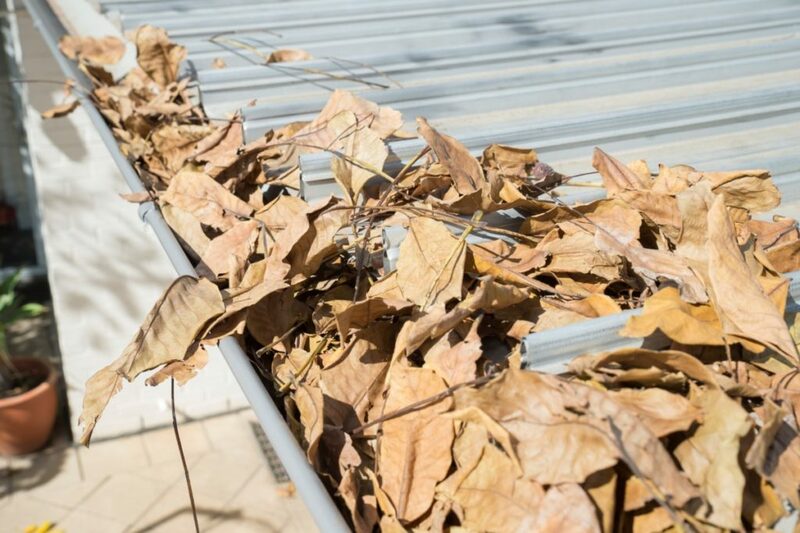 Collect all leaves and debris from the guttering pipes, sweep them and take out as much dust and debris as possible. With a hose, test the water flows freely down the gutters and downpipes. With all debris swept and the water flow tested, we can tell that the guttering system is in good condition. However, do keep an eye on them regularly in case dust and debris stack up quickly! Once warm water has entered the radiator, switch off the heating system and find your ‘bleed key’ – a tool that is usually supplied with the radiator to help open and close its valve. Insert this key into the valve – normally situated at the top of the radiator. Open the valve slightly, just enough to slowly allow air to be released. If water comes out of the radiator, you’ve opened too much. IMPORTANT: have a towel at hand and always protect your hands with a cloth, as hot air and water may flow out. As the air comes out, you should hear a hissing sound. When you see the first drops of water flowing out, it means the radiator is now bled and you can tighten the valve again. Finally, switch back on your central heating system and double-check the radiator is fully operating. This is a really simple but effective check that you should perform this month. 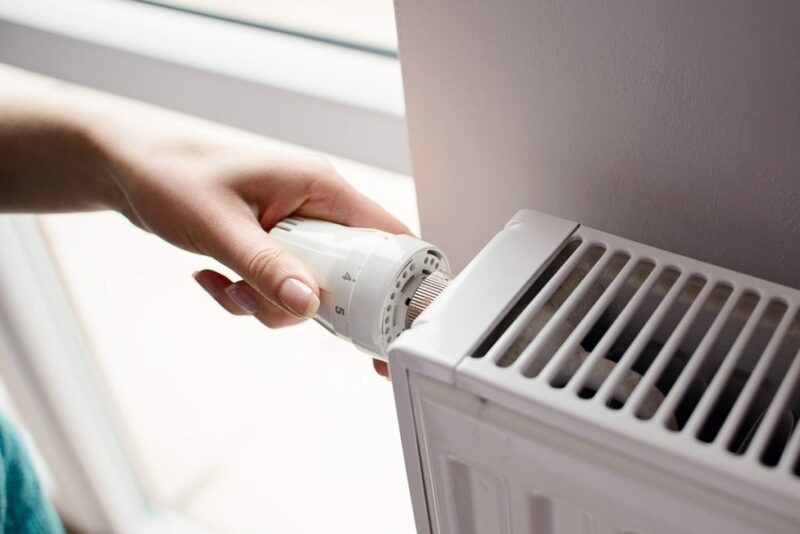 It will ensure that your heating is energy efficient, saving you money on your heating bills – which is vital when the truly cold days in winter happen. Buy the right caulk. 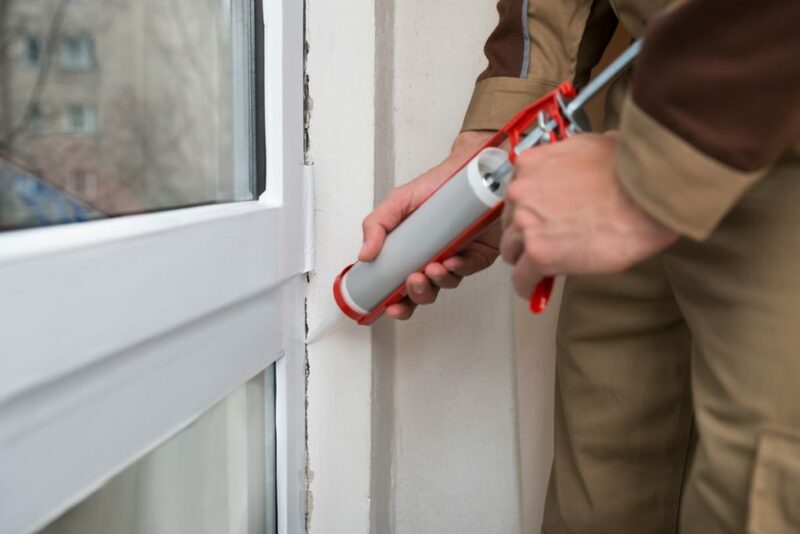 There are many alternatives out there, go to a trusted supplier and choose the caulk that best suits your window’s material. Tip: for long-lasting results, look for the waterproof and flexible caulk! Clean the surface where the caulk is meant to be applied, removing all dust and loose debris. Apply the caulk on any cracks or spaces and smooth it until it matches the window’s surface. IMPORTANT: always read the product’s instructions and safety advice! Having sealed your draughty windows, do regular checks to ensure there aren’t any new gaps and that the applied caulk has not cracked. If drafts keep reappearing, it may be worth thinking of replacing the window with a newer one. This last tip is really important if you are looking to sell your house or attract property buyers. Now that gutters are cleaned, radiators are bled and draughty windows are sealed, all that is left is to get your duvet back in place and put your PJs on. Happy hibernating! If you feel unsure about performing any of the above tasks or simply prefer an expert to get their hands dirty, do give aspect.co.uk a call on 0844 273 0920 and their experienced team of trade-accredited engineers will be more than happy to help.